Compact detangling brush for gentle detangling on wet or dry hair. "A revolution in detangling, It's less stress for me & my clients' hair"
"Glides through effortlessly without damaging colour-treated, vulnerable or tangled hair"
Tanglepro Detangling Brush - Compact-Sized is rated 5.0 out of 5 by 6. Rated 5 out of 5 by Hides from Finally found a great hairbrush My hair is that strong I will break the handle or pull the hairbrush pad out before I would split or break my hair. This hair brush is a life saver. I have since gone out and brought 4 backups. It is great for my hair. It gets any knots out without hassle and doesn't break. It's also good to use in the shower for brushing with conditioner. 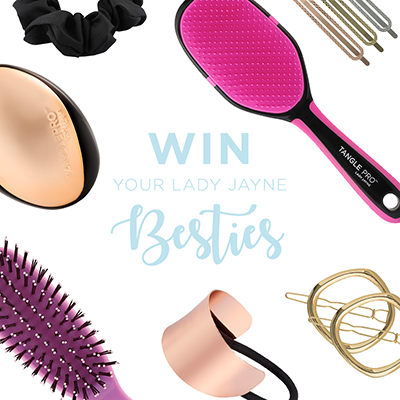 Rated 5 out of 5 by Sunshine from The best hairbrush! This has to be one of the best hairbrushes I have ever used! Now I've never been very particular about what brush I would use for my hair but after awhile I realised that I would get a lot of breakage from brushing my hair and I wanted something that would not only detangle my hair but prevent my hair from breaking at the same time. After being recommended this brush by a friend I went out and purchased it. I loved that it was so different from other brushes that I had used. It was compact, small, lightweight and easy to use! I could take it with me when travelling and it wouldn't take up too much space. The brush is easy to hold and it glides through my hair so easily despite all the knots I tangles I have. Without causing any pain it gently brushes through my hair while detangling. I find that I don't have as much breakage as before and my hair becomes much more manageable after using. Even with my long, thick hair it's the best and the bristles are gentle as well. Removing hair from the brush is easy and even after a year of use it's still in great condition! Rated 5 out of 5 by Jacqui from Great brush that doesn’t tug and pull hair I brought this for my daughter who has fine, thick hair and hated getting it brushed because it would tug and pull. This is the first brush that’s works. She loves it and happily brushes her own hair now. Rated 5 out of 5 by anne from so handy I love the compact size and it's so handy to have one in your handbag for when you're out, at the beach, gym etc. I have long hair and it makes it so much easier and quicker to detangle my hair. 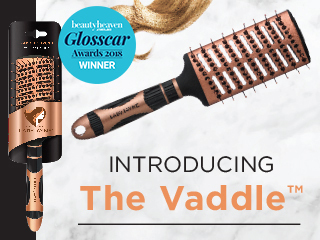 Rated 5 out of 5 by Nicky from Love the shape With having naturally wavy fine hair, I have found that the Tanglepro works through any knots without leaving my hair frizzy. A rare find in the world of hair brushes.